Top 10 Marketing Tips Blog Update!!! This article has literally received thousands of views and ranks number one on Google. I had to do an update to let you know THE BEST lead generation strategy that I have seen in more than 18 years of marketing! Facebook Competitions! 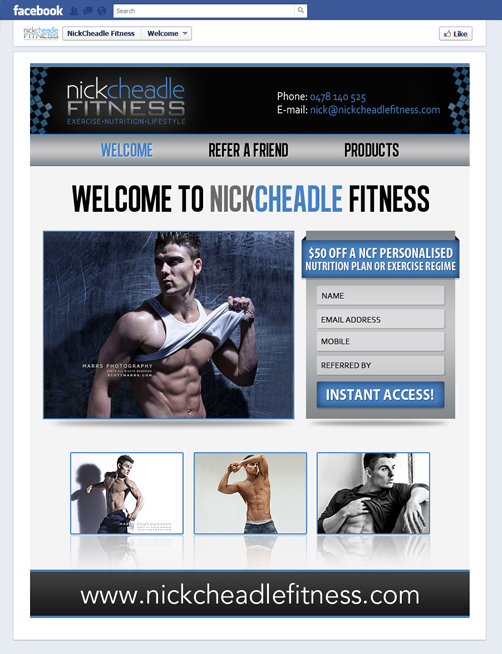 One of our health club clients just generated 274 leads in 28 days with our new custom app. Click here to watch a short 2 minute video and find out about the brand new Facebook Competition Software! The majority of people want to try before they buy and there is no exception when it comes to gyms. Potential members want to spend a few days trying out the equipment, meeting some of the staff and members and getting a good feel for the center before they commit to signing up. 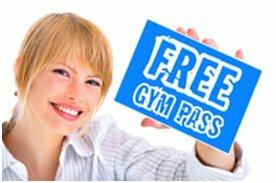 Many gyms charge ridiculous prices for first time casual visits and don’t offer free trial passes. This is a great way to lose potential members and leave them with a lasting negative impression. When someone makes an enquiry at your gym offer them a free 5 visit pass to come down and try out the facilities. There is no obligation to sign up and they are free to use the gym, group fitness classes, swim, spa, etc. Treat them like a valued member from day 1 and exceed their expectations with great customer service. When handing out Free 5 Visit Passes have a quick registration form to take down the person’s name, email address and phone number. Even better, register them as a trial member on your system, take their photo and give them a membership card with 5 free visits loaded on the card. They will feel part of the place before they even sign up! Create a free visit pass banner and optin form on the home page of your website. As soon as they submit their details an automated email is sent with a link to download the free pass.The prospect can then print the free pass or take a photo with their phone.They can then come down to the center to validate. The benefit of capturing details via an optin form is that you can continue to market to the prospect via an automated email series over a period of time.This enables you to build a quality relationship by adding value, providing free tips and useful information. You can also create the same free pass optin form on the Welcome tab of your Facebook Page. A member referral program is a powerful strategy to attract new members to your gym.The key with the member referral program is that it must be easy otherwise people won’t do it! A great strategy is to print off some free pass cards and send a pack of 5 to all of your current members in a mail out.Include a letter with the free pass cards outlining the terms of the member referral program along with the benefits. The member can then easily hand out the free cards to their friends and family and they can come in to the center to validate the card. On the cards include name, email, phone number and referred by.When a prospect comes in to validate the card you can enter their details on the system and take note of the member who referred them.An easy system is to offer the prospect no joining fee on their membership and offer the referrer one free month.This can be easily processed in the next direct debit run. You can also create a ‘Refer a Friend’ form on your website and Facebook page.The member simply enters their details in the form along with the names and email addresses of the friends and family that they want to refer.The prospect receives a personal email from their friend with the special no joining fee offer along with a download link including the free pass card.They can then bring the pass in to the center to validate. We are amazed by the number of extremely poor websites that we come across in the Health & Fitness industry. First impression is EVERYTHING! Approximately 70% of prospects will do a search on Google to find the nearest gym in their location and check out the website BEFORE coming down for a visit. 20% will be referred by family or friends and 10% will drive by and drop in to have a look. What impression are you making to the 70% of prospects who check out your website? Does your website show up on the front page of Google when people search in your local area? Has it been updated with the latest timetable and class information? Do you have images to showcase your facilities and provide impact or do you just have a bunch of boring text and links? 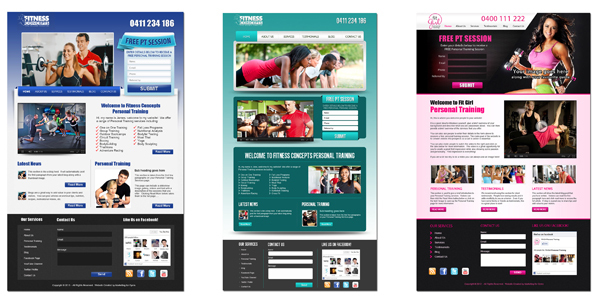 If your website is old, boring and outdated then people will assume that your gym is also old, boring and outdated! A modern and up to date website is crucial to make a great first impression when people land on your site. The average member at a gym is worth between $500 – $700 per year.If 70% of your potential members are getting a poor first impression from your website and going somewhere else, how much money are you missing out on each year? Updating your website should be listed as the number one priority in your marketing budget! Facebook is one of the most effective marketing methods for generating new members, adding value to current members and increasing membership retention. Every gym simply must have a Facebook Page! A basic page is free to set up so there are no excuses! Facebook currently has more than 700 million users worldwide and the average user has more than 200 friends. People are now spending more time on Facebook than any other website (including Google!). When used correctly, your Facebook Page can generate huge amounts of traffic and interest in your gym. 2. Every time a visitor comments, likes or shares your Facebook page content it is like a free advertisement that is placed on the News Feed of all of their friends. Their friends can easily see that they have interacted on your page and can follow the link to find your page. The majority of Facebook friends also live in the same local area so this is incredibly powerful targeted marketing for your gym! If you are really looking to capitalise on the power of Facebook then we highly recommend creating a custom Facebook Page to take your marketing efforts to a whole new level! 2. When visitors land on a standard Facebook page they land on the ‘Wall’ tab. This is often filled with posts from other fans, there is a poor first impression, no value and no information about the facilities. One of the biggest problems I faced as a gym manager was encouraging my staff to interact with members on a consistent basis. It took some time and patience to make this a new culture in our club but the rewards were definitely worth the effort. One piece of advice à Don’t hire introverts if you want your staff to interact with members! 1. Train your reception staff to greet and farewell each member by name. Most gyms have a system where members scan their cards as they come in. It takes 2 seconds to look at the name on the card and say ‘thanks Brad, have a great workout’. 2. Gym staff also need to be trained to greet members by name as they come in the door and engage in conversation. Members need to feel supported with their programs and not alone. 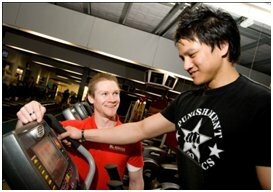 Gym staff need to be involved with programs, assessments, encourage variety with training and keep members motivated. 3. Introducing new members to other staff and current members is a great way to make a new member feel more comfortable. Involve the new members in conversation so they don’t feel isolated and take interest in their progress, especially as they are starting out. The Health & Fitness industry typically has a very high turnover of members. The majority of gyms lose 50 to 100 members per month and gain 50 to 100 new members per month. A very small percentage of gyms actually survey their members when they cancel. This is such a simple process and can provide some very valuable information about your member satisfaction, staff performance and facilities. 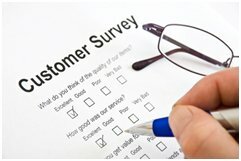 The survey can be completed as the member fills out the cancellation form. Some member won’t fill it out but many will. 5. Any other comments or feedback? Each week go through the comments and take the feedback on board. Members often see things from a different perspective and highlight areas that you can improve. Often making simple changes and improvements can have a big impact on client retention. Now that you have a great website and custom Facebook page the key is to provide some regular fitness tips and information for your members! This information can be a great way to keep in touch with members, add value and maintain motivation. You may be thinking …. I just don’t have any time for fitness tips! You may not have time but I guarantee your staff do! Think of how many hours your fitness staff are standing around between assessments with nothing to do. It is a perfect time to write up a short article or record a quick video message on their smart phones to upload directly to Facebook or to the website (preferably both). Create a rotating roster where each staff member needs to add some content once per month. If you have at least 4 instructors then you have enough content to post an article or video every week. The videos or articles can be demonstrating new exercises, nutrition tips, healthy recipes, motivation, goal setting, etc. Also encourage members to comment on the posts, ask questions and provide feedback. They can also submit requests for future topics. The articles and videos can be archived on the website and fan page so future visitors can search through the database of content. A great way to maintain member motivation and generate more energy in the gym is to run regular challenges. In our gym we purchased a huge whiteboard and put it up above the benches. Every month we would run a new member challenge. The board would be divided into male / female and different age categories. We offered prizes for 1st, 2nd and 3rd place in each category at the end of each month (free drink bottles, t-shirts, membership discounts, etc). Have a staff leader board as well as the member leader board and the key is to make it more fun than ultra competitive! I can hear many of you taking a big sigh but Social Events make such a big difference to the culture and feeling at a gym. It is a great way for staff and members to connect on a different level outside the gym environment. They do take a bit of organising but the rewards are definitely worth it! At a minimum a yearly Christmas Party is essential. A members BBQ is always a good option and you can often get bread and sausages donated from the local butcher / bakery. Spend a few hundred dollars on some beer, wine and soft drink, chips and nibbles and you are good to go. Other events could be for Mothers Day, Fathers Day, Open Days, Fun Runs, Charity Events, Easter Party, Christmas in July, Trivia Nights, Car Boot Sales, etc. Staff must be encouraged to really get behind the event and speak to members to ensure you get a good attendance. You can also offer free prizes, give aways, special offers, games and activities on the day to encourage people to attend and also bring their families along. A jumping castle for the kids is always a winner! 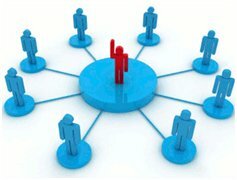 If members feel connected to your center socially then it will have a huge impact on your retention rate! place a flyer in their shop window. Many shops will also let you put flyers on the counter or display business cards. 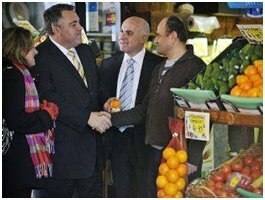 Offer no joining fee to everyone who is referred from a local shop owner. Create a banner in your gym with a list of local partners and help them to promote their business. You can have a noticeboard allocated to ‘Community Partners’ and all gym members could receive 10% off their products and services (they just need to show their membership card on purchase). 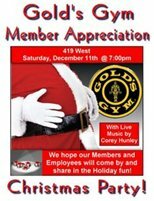 The local business owners will love you and they will send a huge amount of business to your gym. Invite the local shop owners to your open days and social events. Tell them they can set up stalls to promote their businesses in exchange for some freebies on the day. This creates a win / win for everyone and ensures you get a good turn out on the day. Thank you for taking the time to read through the Top 10 Marketing Tips for Gyms Ebook. The tips above are all simple to implement and not rocket science. Often the simplest strategies are the most powerful but they are also often overlooked. I guarantee that these strategies will go a long way toward increasing your membership numbers and retaining your current clients. Taking ACTION is the key! When it comes to online and offline marketing for gyms, we have everything covered! To obtain a copy of this article in ebook version fill in your name and email in the optin form on our home page. Please don’t hesitate to contact us if you have any questions or would like some further information.